A simple backpack for the daily essentials. Don't be fooled by its classic looks. 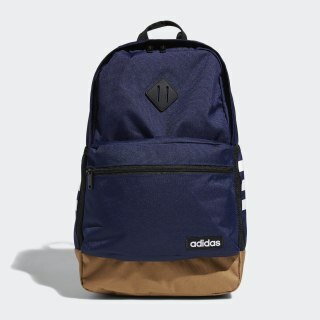 This daily backpack is simple in design but packed with useful features such as a lined media pocket and internal computer sleeve. The bag is padded on the shoulder straps and back, and it has 3-Stripes on each water bottle pocket for a touch of sporty style.